Porcelain has always fascinated us. Plates and mugs alone however, were never going to add that something special to our houses. However, when there’s porcelain on the table, a sense of a special occasion always seems to come into play. So what would happen if a whole animal world, along with a notorious natural phenomenon, were set together on your table? Like a pair of fish on your plates and a patch of muddy cups for example? The above ideals encapsulate a venture named ‘Waddenzee’ and it comprises a most conceptual project from Studio Maarten Kolk & Guus Kusters, which was presented at 'MU goes Milan' exhibition in Ventura Lambrate. 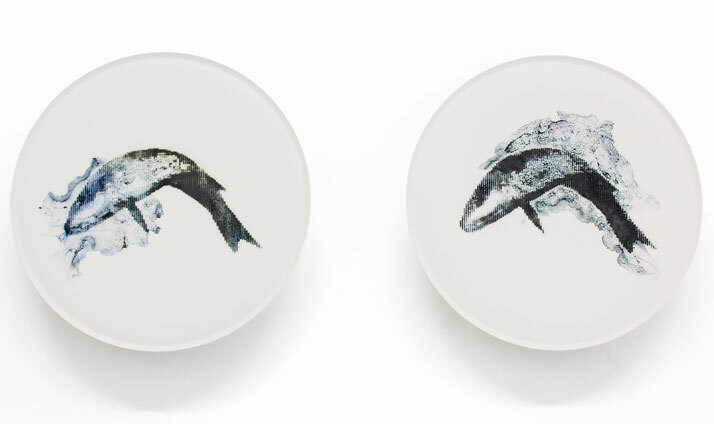 With a long artistic tradition and a high international profile, this year, the designer duo conceived a limited porcelain series that imitates life and appropriately narrates absurd stories about nature. Handcrafted at the Studio’s workshops in Klokgebouw, in Eindhoven, and following a completely artisan process the duo played with nature in an innovative way finally, creating cutting-edge design. 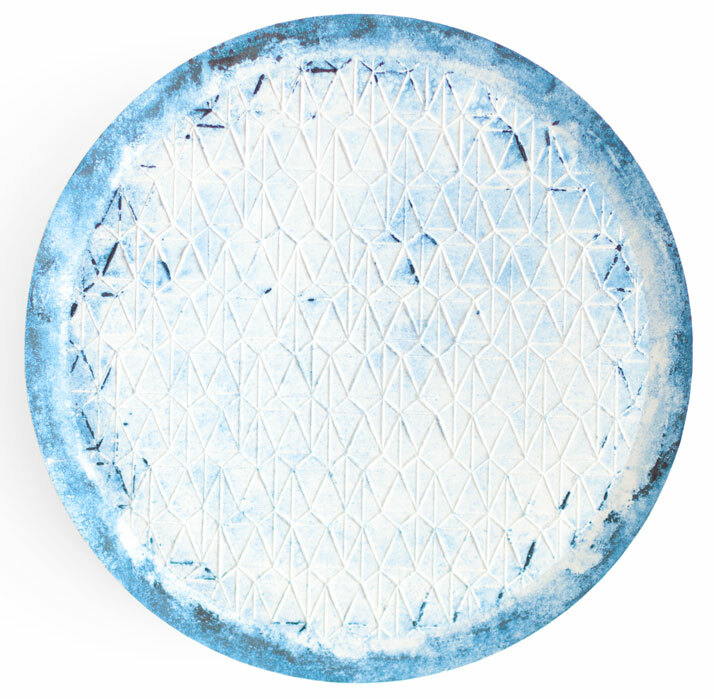 The idea for a porcelain series emerged from the sea that lies in the north of the Netherlands, Germany and west of Denmark, namely the Wadden Sea, which also became a World Heritage Site in 2009. The duo comment: ‘What we liked about it was that it seems that it all happens in the single ebb and flood movement; after every high tide the landscape seems new again. ’ On the painstaking process of its creation they added ‘The tidal behavior of the sea is comparable to the production of ceramics; it’s a flow of clay and water repeating its process every 12 hours. 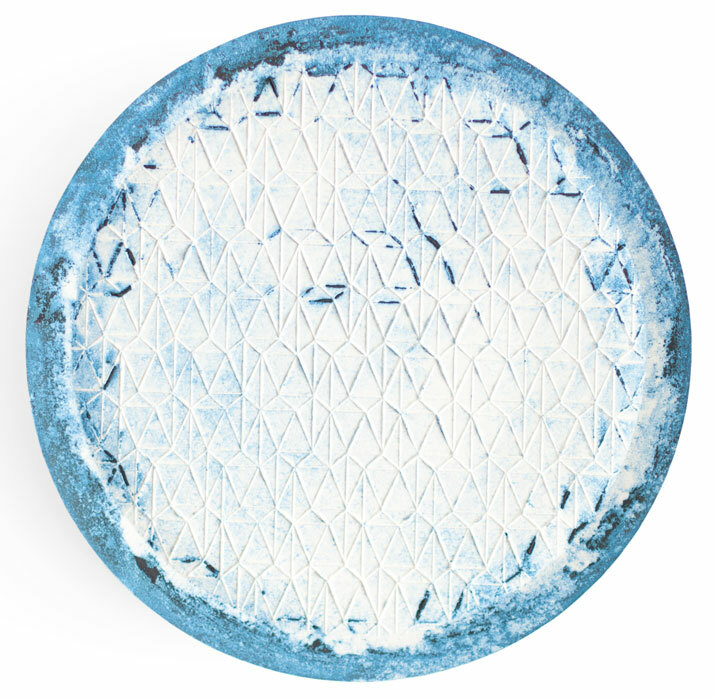 The 'Eb' (low tide) plates have a cobalt glaze in their mold. Every time the liquid porcelain is poured in, some of this glaze attaches to the plate. 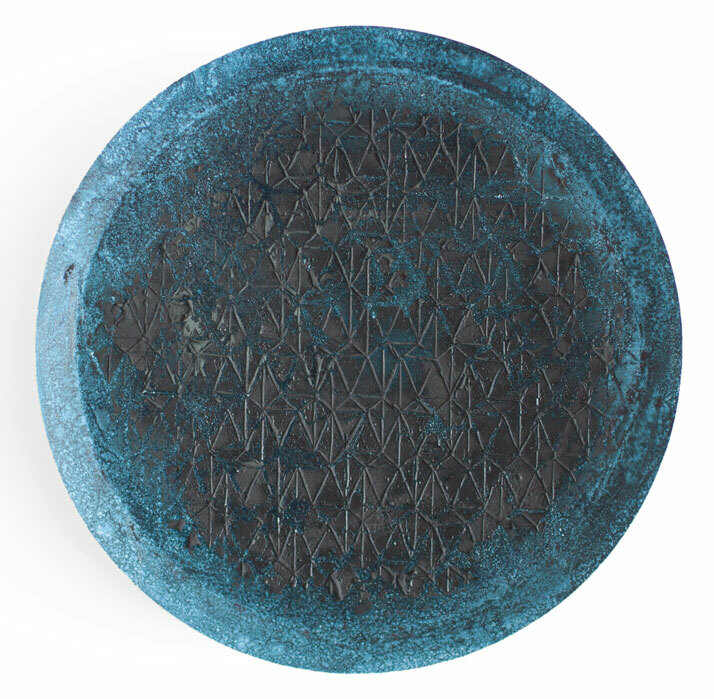 The first plate that is produced in the mold is darkly glazed; the second one will be a bit lighter, and so on. On the other hand, the aesthetics of instability is what they succeed through the ‘Vloed’ (high tide) plates. ’ And so the Dutchmen managed to catch a unique natural spectacle and translate it into design with a string of visual interplays. The uniqueness of this natural area is challenged by the power that the nature has, and the complete porcelain series can therefore be compared to a journey into a strange and unexpected world. 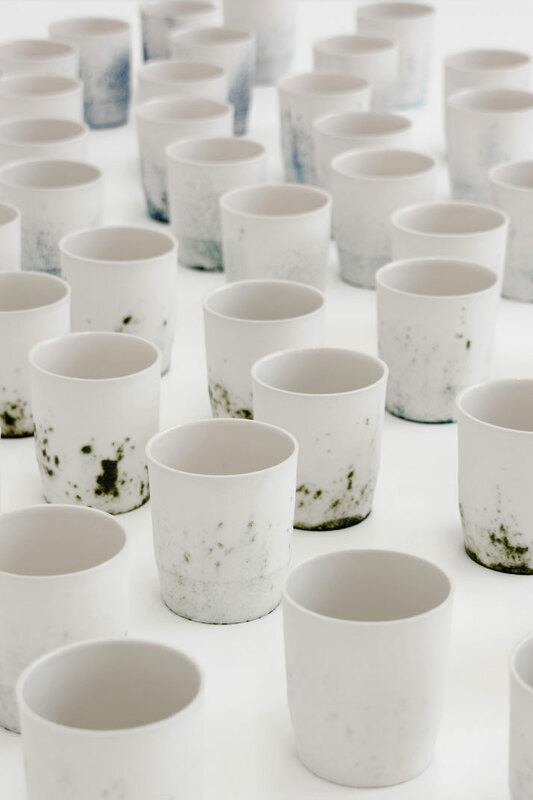 ‘Walking along the coast and through the mud, we found the darker side of sea life: Drifting seaweed, and rotting fish and birds.’ The ‘Modder’ (mud) cups were inspired by their dirty boots after their visits to this region during the summer months and are made with a mix of colored porcelain dust and oxide. 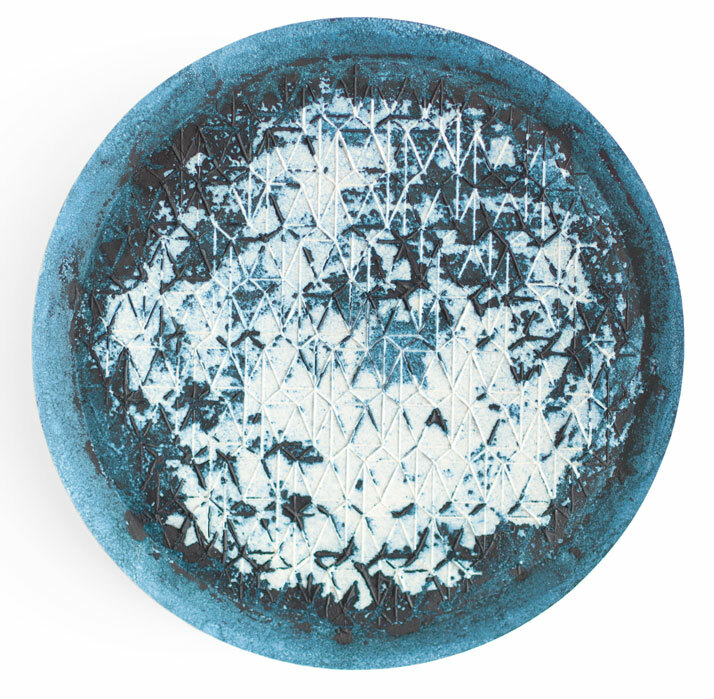 As a result, the viewer fully acknowledges the natural status quo, whilst recognizing its beauty, poetic dimension and the impact of climate change upon the Wadden Sea. But most of all, it is a showcase of the instability of life, of a totally parsimonious nature. Maarten Kolk & Guus Kusterss’ work clings to both sides of nature and wraps and intertwines itself leading to framed fishery cloth and monochrome prints, as a result of a graphic pattern, all determined by a technological element. 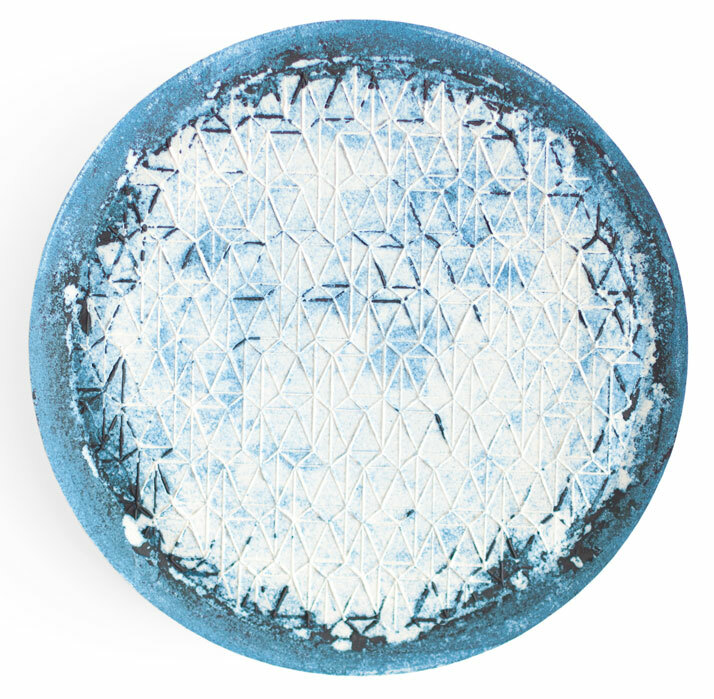 They have managed to blur the boundaries between art and design as they have accomplished expressing natural behavior onto fine materials where the value of this porcelain series is not only artisan but also, largely sentimental.